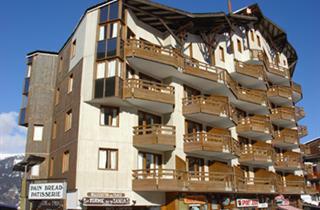 Within easy reach of world-famous resort Courchevel, the resort of La Tania is an ideal choice for travelers who want to stay at the Three valleys (Trois Vallées) without putting a serious dent in their credit cards. 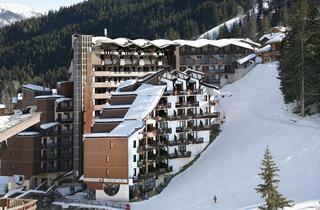 Constructed for the 1992 Winter Olympics, this resort has become a popular and much-loved destination. It is located at 1350 m above sea level. This is a ski-from-the-doorstep type of resort, offering top class accommodations and many modern amenities. 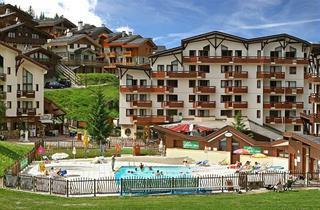 There are ski shops, restaurants, cafes and bars alongside the ski runs. A lift ascends from the center of La Tania to the woodlands above the resort, where there are several charming chalets nestling between the pine trees.